There’s some fresh, positive update on ISRO’s planned, technology demonstration mission to Earth’s twin sister, Venus. The space agency has today extended invites welcoming proposals for space-based experiments from Indian scientists and researchers. ISRO is likely to launch the aforementioned mission by the end of 2020, however, the proposal invites takes it a step closer to the reality. The focus of the mission will be exploring Venus, understanding about its surface, sub-surface features and processes, and super-rotation of the Venusian atmosphere. The studies under the mission will also cover Venus’ evolution and interaction with solar radiation solar wind. The Announcement of Opportunity is just a beginning. The studies must be finalised, a project report would have to be presented and approved. A formal mission may not happen before 2020. ISRO believes that both Earth and Venus share a bulk of similarities and were formed at the same time around 4.5 billion years ago. The mission if successful will mark yet another moment of pride for India. The satellite for the mission will have a payload capability of around 175 kg with 500W of power. The orbit will be 500 X 60,000km around Venus, which will eventually reduce over several months. The Venus-bound satellite will unveil the interactions between the planet and the Sun, which will gradually help to decipher Venus’ and Earth’s relation. ISRO has given a deadline of May 19 to scientists to suggest space-based studies. This mission to Venus by the agency has been listed as part of the department of space’s demand for grants. However, the exploration of Venus began in the early 1960s with fly by and lander missions and atmospheric probes, this mission will add to records and studies exposed off till now. 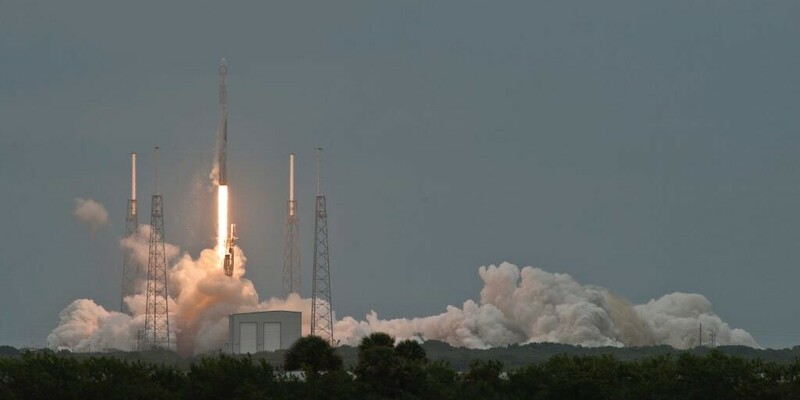 Watch SpaceX deliver a communications satellite into orbit using its Falcon 9 rocket right here!